We have gained recognition as an eminent enterprise, devotedly engaged in manufacturing a broad range of Cotton Velour Fabric. 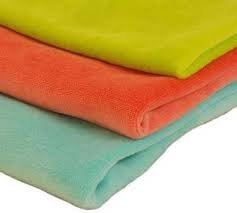 Being pioneers of the industry, we are offering a quality tested array of Cotton Velour Fabric. The Cotton Velour Fabric we offer is widely demanded amongst the clients for its availability in different sizes and designs. Besides, these products are made by using quality cotton. 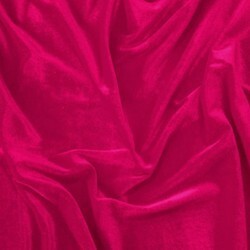 We offer Cotton Velour Fabric. Width: 72", 108", 44-45", 35-36", 58-60"
Use: Clothing, Car seats, etc. We are highly acclaimed in this industry for providing an optimum quality range of 100% Cotton Velour Fabrics. Joss Knits India Pvt. Ltd. This soft, cotton blend velour has a 25% stretch making it perfect for leisure wear, track suits, tops, loungewear, kids' clothing and more! The polyester will help the fabric keeps its shape and color.